Nothings better than a ball, except for the 100% natural rubber trybalҙ. 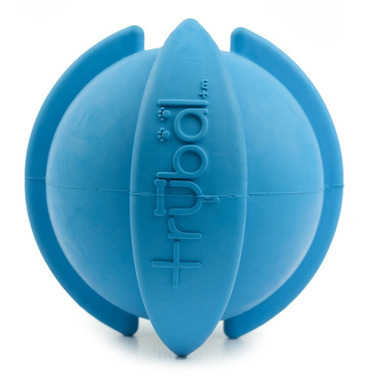 The 3 unique solid ridges make the trybal easy to: Grip it, toss it, bounce it, chew it, chomp it, and fetch it! (H / W / D): 3.5" x 3.4" x 3.4"